*First before you begin. You must read the entire post to reach the point of what I’m writing. So I’ve a good 10 “likes” on one of my earlier posts and well in my mind that’s just as good as being famous. Heck, the world knows me now! Am I right or am I right? Throughout my days at my beloved high-school, I was quite obsessed with perfection (as mentioned in my earlier post titled Rambling). Yes, during that time in my life, I allowed myself no deviance, no obscurities, no mishaps. Perhaps that’s why I’ve never dated. If I wasn’t perfect, I’d berate my intellect with harsh comments as if it were an unclean rag. (a negative)(a negative) = a positive. Let’s say one week I knew I had a huge test coming up. I’d study for hours, write out my notes, memorize, practice, quiz myself and test my knowledge. Like a good student would. The test day would come, I’d write my test. Then promptly upon exiting the test room, convince myself beyond a shadow of a doubt that I had failed. How could I have passed? I wasn’t bright, I wasn’t brilliant. Yes I had studied, understood and learned what I was meant to. But in the end did it show? My logic was that if I made myself believe the worst upon the worst, then when I got the test back and I had failed, then I’d be ready. But, if I got the test back and I’d “aced” it, then the enormous amount of happiness in my heart would be that much greater. Another example. A certain fellow wants to get to know me more, we hang out. I convince myself that the only reason this is happening is…(you list the reasons). I make myself believe those things, so that when the roof falls through the ceiling; I’ll be ready. All throughout high school, throughout college. Practice makes perfect and so over time I’ve become adept at making myself believe the worst. I’m in top form. And I continue to do it. Throughout life I let myself believe the absolute worst about my situation, so that when the worst happens, I’ll at least be ready. I read an article about positivity. I don’t remember where. I don’t remember who wrote it. But I have it stuck in my mind and it surfaces when those ever so convincing thoughts surface. Meaning if I send out positivity, positivity will find its way back to me. So I’m experimenting with this new formula. I’m thinking those positive thoughts, sending them out into the world and I’m waiting to see what happens in a situation. How my job in an English school in Beijing has taught me to be apathetic. You got ’em, I got ’em. The whole entire world has ’em. Issues! Yes they are out there and I hope that you understand this writing is operating on a certain level of factiousness. It’s whether we admit them or not. The real conundrum lies in the “simpleness” of how we’re able to admit it. Can you admit? Can I? But of course I can. They say that the first step to realizing you’ve got a problem is admitting you have one. Yeah, well I’ve got a problem. Am I gonna spill it to those faithful few who read this blog? Of course not. That would be mostly my family…maybe a few friends if I’m lucky. That would mean that the closest people to me would know my deepest darkest secrets, and what is healthy about that? I ask you. Some things need to be kept in the dark. Disregarding that obviously sound logic at work, here’s the beginning of my issue: recently I have been a little more than slightly obsessed with drinking red wine (no particular kind although I’m partial to dry wines like Shiraz) eating some sharp cheese (an old cheddar from Kerrygold, imported from Ireland) and crackers (sesame seed crackers are the best in this case). It’s a habit for each night of the week I guess. Something that I treat myself with for making it through a day of rewarding working here in the great Beijing. My sister, Kara, author of http://www.droppedspaghetti.com.au recently wrote about the issues with her job. And it inspired me to write about a few of mine. My post won’t be as funny and maybe not as poignant…but here goes. I haven’t always been this way. Work never used to stress me out as much as it does now. Perhaps it’s because now, I’ve moved up a tad higher and I can see all the problems behind the facade of a smile and a flaccid compliment. This is what I know, it’s my experience in the “grown-up” world. Forgive my stereotype, forgive my bitterness and my negative thoughts towards humanity. How can I go against life experience? So, I’ve read a lot about psychology and I’ve stumbled upon an article about biases and how they’re categorized. As you most likely know, a bias is something that skews the reliability of anecdotal or legal evidence (fact or fiction). Further more a social biases (otherwise known as attributional biases) inhibits a person’s ability to interact in social construct. In other words, each person suffers from a distortion on how we perceive reality. Doesn’t everyone love being able to say they suffer from something. My generation loves being able to say “I’m going through something.” Ain’t it the truth, ain’t it the truth? Biases affect us no matter how hard we try to guard them from entering our opinions. A person can pretend, but the show can only go on for so long. And the truth is, nothing beneath still waters is truly as it seems. Positivity is great, a toothy smile is wonderful but really it’s nothing tangible. It isn’t firm and stable; most people use it as tactic to “stall”. I’ve been fooled countless times by the compliments; they’re only words. Meaning is lost, most people say them to get what they need. Perhaps people are inherently good, perhaps they generally want to do the right thing. But it’s not a standard rule applying to humanity. Nope. I’ve met enough people in my short span of life, who have proven positive assumptions about humanity to be misleading. Better to assume singularity, you could live longer. Am I bias? Aristotle wrote: man is a conjugal animal, meaning we like to “couple” (find a mate). He also wrote that we are political, we like the law and he also wrote that we are mimetic (we’ve got imaginations and we learn from and enjoy using them). 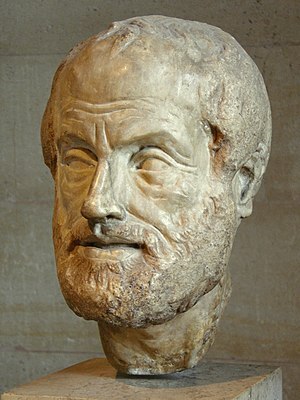 While I agree with the last two of your theories Aristotle, I do not agree with the first. Some people are born to be: alone. Look at me. Observe aspects of my life. I am alone and I and absolutely fabulous. Am I bias? It’s quite hilarious, actually because as a journalist and a student of pre-law, I’ve been trained to be unbiased. Ya, but what human can be? Guaranteed: none. We journalists only write the stories that will gain the most readership, the most publicity. And I have learned in my job at in Beijing, that awareness and communication is “fool’s gold”. A hope warranted but groundless. Am I bias? But of course in order to live you aren’t required to have extremely long hair, or wear a gigantic rose. Of course you don’t have to dance in circles, twirl or clap your hands. What I mean: simply possess the spirit and zest for life as much as this character has. Udi-Guzaarish Song 2010 [HD] W/E Subs – YouTube. She’s living in the moment, forgetting that there are people present and letting the music flow. Yeah, dancing as if nobody is watching is tough stuff, not easily done, but that is not to say it’s “undo”-able. I guess it means that we should take it easy, forget about trying hard at anything and remember that life is for living. Now how is that for high-end advice hm? Pretty darn -tootin high I’d say. Firstly, the smog alone is reason enough to catch a cold in Beijing. Thirdly, its the season for getting sick when the weather changes from warm to cold…and Beijing is no exception! So now I’ve got to thinking about the types of things I like to have or do when I’m sick…a few things come to mind; things like drinking hot tea, chicken-noodle-soup, drink ginger-ale and watch movies and sleep. Aww, sweet sleep, glorious sleep. Do you remember a time when if you were told to take a nap, you protested and came up with a million excuses not to sleep? I do…its seems strange to me now that I would protest something so rejuvenating! Now if someones tells me to take a nap, I respond gladly with “Sure thing!” The only thing is that there is never enough time in the day to fit in a nap. There is always something to do, something to see, something to finish, something to start. Not that I am complaining, no, I enjoy being busy. Just not when I’m sick. When I’m sick there is only one thing that I want to do and that is be lazy!